The Palestinian Health Ministry has confirmed that Israeli soldiers killed, Friday, two Palestinians, including one medic, and injured 307 others, including 85 who were shot with live fire. 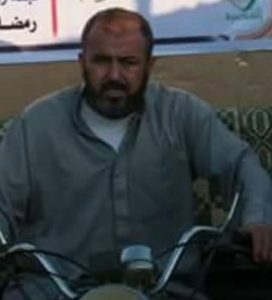 Dr. Ashraf al-Qedra, the spokesperson of the Health Ministry in Gaza, said the soldiers killed Ali Sa’id al-‘Aloul, 55, after shooting him with live fire, east of Rafah, in the southern part of the Gaza Strip. 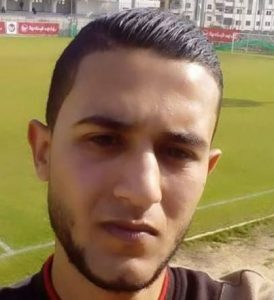 Dr. al-Qedra added that an Israeli army sharpshooter killed a volunteer medic, identified as Abdullah Qutati, 20, east of Rafah. 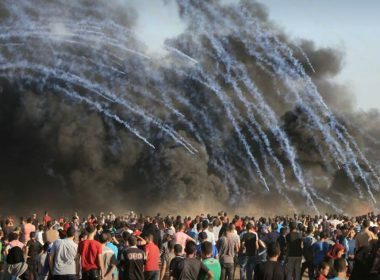 He stated that the soldiers have injured 307 Palestinians, including 85 who were shot with live fire, during the Great March Procession on Palestinian lands near the barrier fence, in the eastern parts of the Gaza Strip. 176 of the wounded Palestinians received treatment at the make-shift clinics, while 131 were rushed to hospitals in the coastal region; five of them suffered life-threatening wounds. Dr. al-Qedra said that, among the injured Palestinians, are 26 children, five medics and two journalists. One of the seriously wounded Palestinians was shot with a live round in his head, east of Khan Younis, in the southern part of the Gaza Strip. Another Palestinian, identified as Suleiman Qabalan, was shot with an expanding bullet in his head, east of Khan Younis, and was rushed to the European Hospital where he remains in a very critical condition. Eyewitnesses said Israeli army sharpshooters were extensively deployed in their fortified posts across the fence, and fired dozens of live rounds at the protesters. Despite the ongoing excessive use of deadly force by the army, thousands of Palestinians nonviolently marched, for the twentieth consecutive week of the Great Return March, which started on the Palestinian Land Day, on March 30. The army has killed 160 Palestinians, and injured at least 17500 others, including dozens who suffered life-threatening wounds.